India is not only a vast country but also a beautiful land to visit. The great traditional heritage monuments are the representatives of India’s rich culture which fascinates people to come down from across the globe to visit this incredible land. The essence of unity in diversity can be felt in all the traveling destinations of India since it’s a combination of various castes, religions, languages and customs. Yet the beauty and charm of India is indescribable in words one should witness the mesmerizing places to be cherished forever. Travelers from different regions come to explore India’s Best Destinations and take away the enormously unforgettable memories of the beautiful land. As India is a land that offers a plethora of things to explore, there are few destinations which offer better opportunities for the Dream Destination of every Traveler. In Agra people can feel the essence of Love. The TAJ MAHAL is one of the major reasons for tourism in Agra. It’s the symbol of love made by the great Emperor Shahjahan. 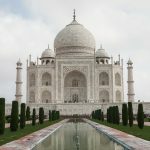 While the Taj Mahal is also regarded as one of the Seven Wonders of the World its beauty and marvelous creation makes it one of the major attractions of the country. Kerala is the southern region of India known for its great culture and natural beauty. The flow of rivers and the mind blowing landscapes fascinate the heart and rejuvenate the soul. 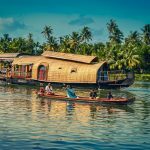 One of the major reasons for people to visit Kerala is natural richness of the coconut trees, backwaters and the marvelous waterfalls. Rajasthan is known for its royal heritage, rich culture, forts and the hospitality. It connects the travelers with the history of India. The heritage attracts the hearts of not only domestic but also international travelers. 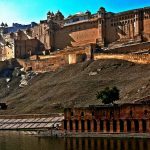 The cities like Udaipur, Jaipur, Jaisalmer and Jodhpur are the most desirable places to visit. Who doesn’t want to travel India’s most beautiful and adventurous place where hills attract the hearts and valleys steal them, where rock climbing, mountain biking, ice skating wouldn’t let you forget the place. 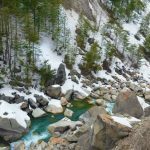 Shimla, Dharamshala, Manali, Kasuali are some of the most beautiful and mesmerizing places to visit in Himachal Pradesh. 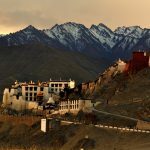 Ladakh is one of the coldest and beautiful northern regions in the state of Jammu and Kashmir which fascinates the eyes of every travel lover. The mesmerizing high mountains and curvy roads covered with ice make the place captivating. The farms in Ladakh enhance its beauty and natural charm. So now you know what the destinations of that the Indian people dream are about. But I should definitely not recommend you to dream about it but rather explore it yourself in your Tour to India with the perfect Dream Destinations of every Travelers. See Ya! If you would like to guest write for Bridge the Travel Gap about your part of the world, please contact us here! I have visited Taj Mahal and that is actually an amazing place. I fell in love with it when I actually heard the story behind this Symbol of Love..